Usain Bolt Screen Shot taken from ESPN Interview. Do you have fantasies about becoming a sporting superstar? The focus, stamina and commitment required to become a successful professional sports icon these days is nothing short of superhuman. If you are looking to spice up your exercise regime and inject a higher level of performance, why not take inspiration from the guys at the top? Let’s look at how they keep a competitive edge and retain an awesome level of fitness when everybody else is constantly trying to beat them. The world record holder at the 100 and 200 meters sprint is the perfect example of a true competitor. Of course, he has an innate ability, but he has enhanced and improved on his raw qualities with an exceptional training program. The same techniques are universal no matter what level of ability you’re at, and you too could have a go at some of Bolt’s exercises designed to increase explosive power, extend stride and improve running technique. From bunny hops and box jumps to stretches, knee drives and leg raises, there are specific exercises that target sprinting capability. 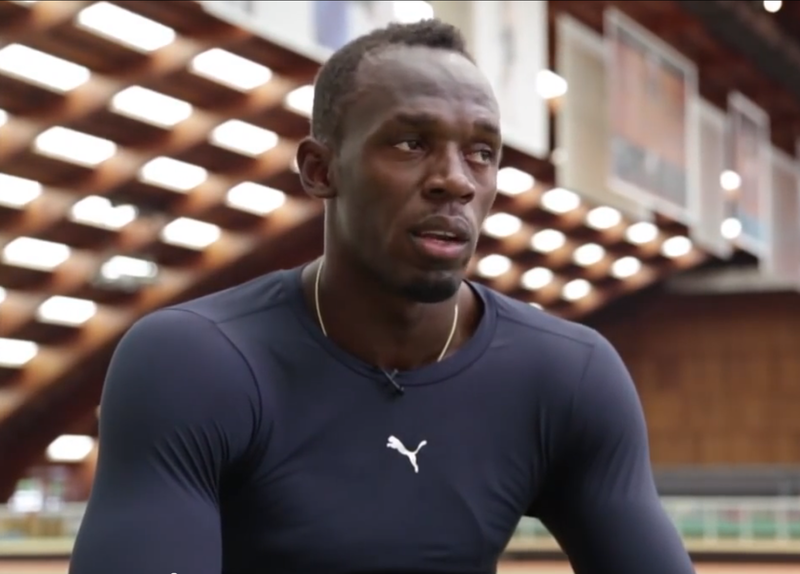 Usain Bolt is a sublime sportsman, unique in his time – but he works hard at honing and maintaining his talent. Why not have a go at his exercise regime and see how your sprint speed picks up? You are guaranteed to sweat, so wear gear that wicks moisture away from the skin, ideally athletic shirts and shorts that are loose fitting and comfortable. LeBron James is 2.03 meters of pure basketballing genius, but he didn’t get that way without being a focused and dedicated athlete. Take a leaf out of his workout schedule if you want to bring some edge to your basketball game or achieve a higher level of fitness overall. Want to get more hoops? Well, LeBron practices leaping below the net, working on his explosive power as he shoots into the air. For all-round fitness and cardio he enjoys cycling, and for strength he does squats on a vibrating plate, which is proven to improve performance and boost power. From calisthenics to core moves, push-ups, pull-ups, weights and simply shooting hoops, his regime is punishing, but with his legendary focus he manages to turn it all into a continuing sporting success story. Boxer Floyd Mayweather works hard at staying fit. His training secrets are closely guarded, but he shares a few tips with us lowly mortals to help keep us pumped, primed and fulfilling our potential. Cardio routines are key to a boxer’s fitness, and short interval sprints are regularly inserted into longer runs to increase stamina and strength. Mix up the sports disciplines you train with to keep a variety of muscle groups in trim, and allow sufficient recovery time between workouts for the body to heal. You may not be a sporting superstar but it’s inspiring to hear how our fitness heroes get winning results. Perhaps if you follow their example, some of that sporting magic may rub off on you.